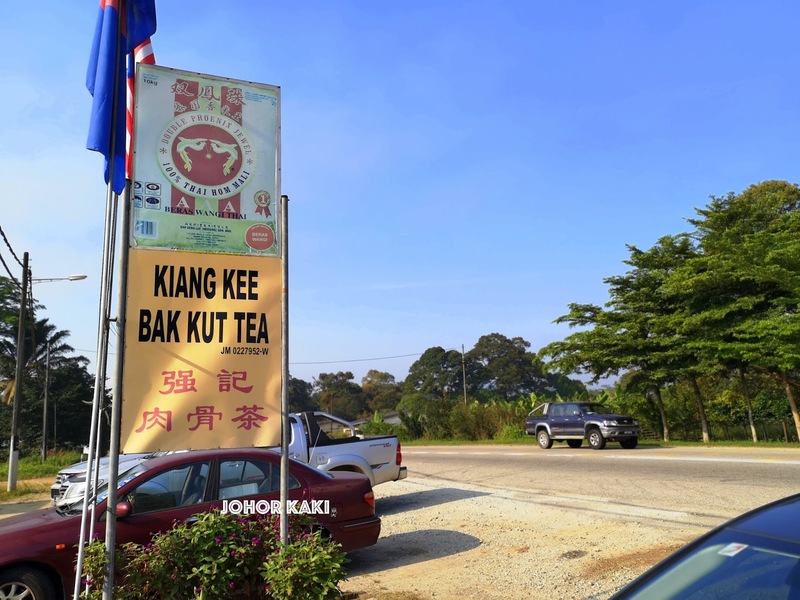 Kiang Kee Bak Kut Tea is located by the side of the busy Kota Tinggi - Mersing trunk road 1 - 2 hours drive from JB or Singapore. 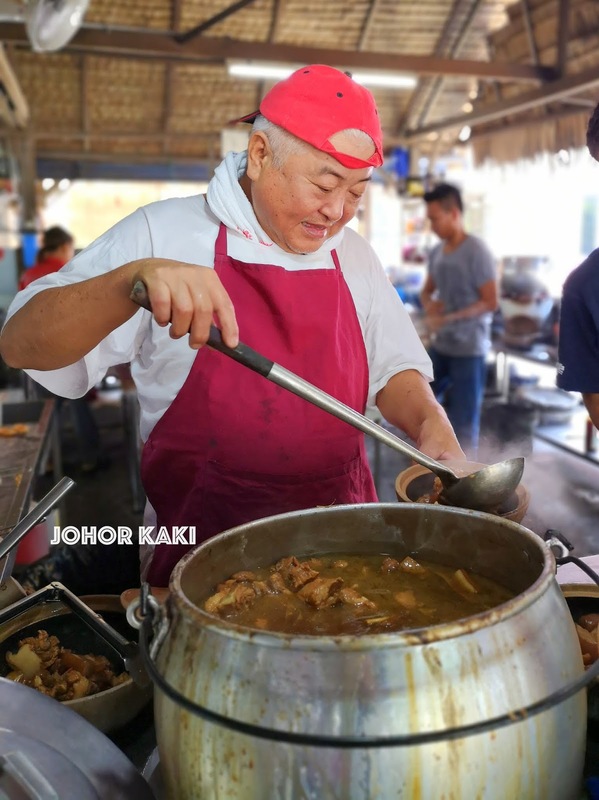 But, that did not deter many people coming from Singapore and all over Malaysia to taste it, nor prevent Kiang Kee from being the most famous BKT from Johor. 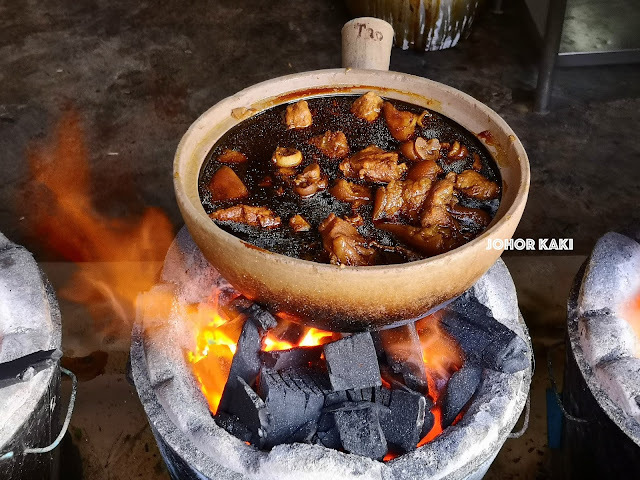 So, I asked Johor Kaki readers for the 10 reasons why Kiang Kee fans willingly drive 1-2 hours to taste their favourite bak kut teh (when good BKT shops and stalls are everywhere in JB). 2. 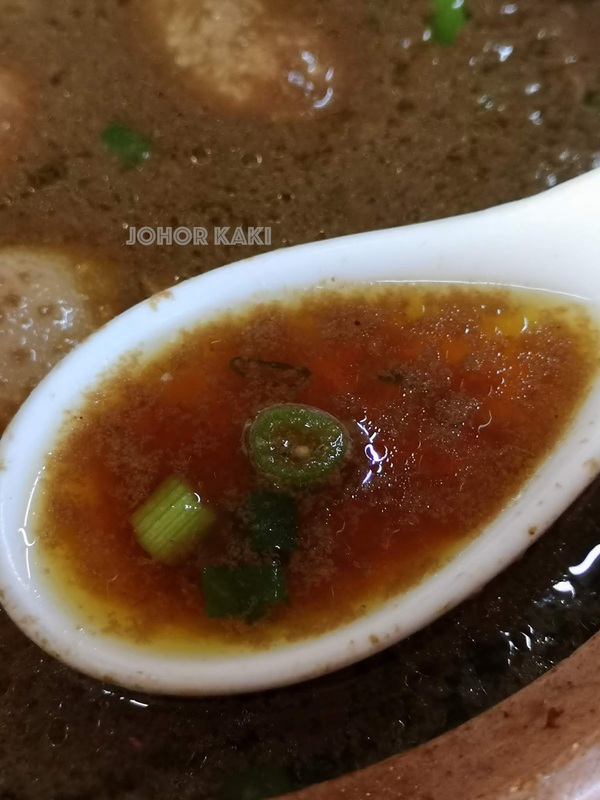 Fans like Kiang Kee's well balanced herbal savoury sweet, dark moderate body soup. The sweetness lingers in the aftertaste. The soup has a subtle herbal aroma. 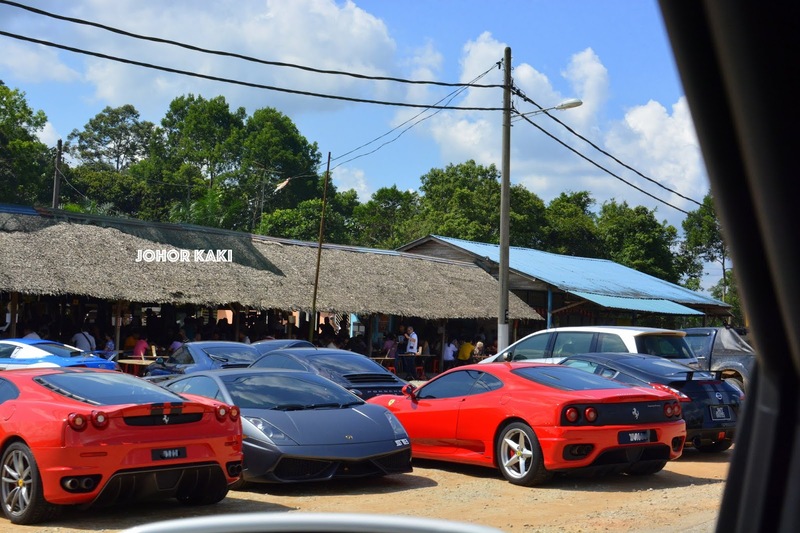 It is unique and not found anywhere else, so fans who like this taste profile willingly drive 1- 2 hours for it. 3. 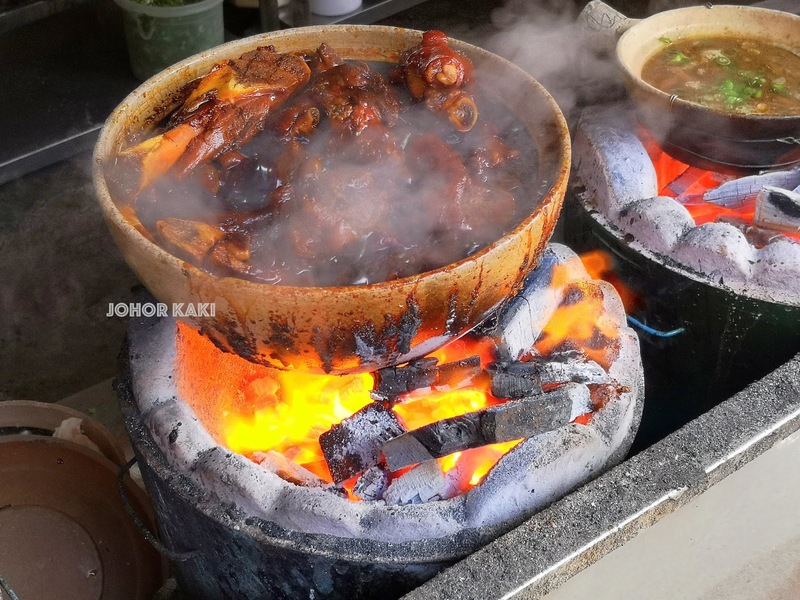 The pork at Kiang Kee is very fresh (never chilled nor frozen) and it is finished over charcoal to the right doneness. The texture is tender yet there is still some chewy bite. The flavourful soup does not overpower the natural sweetness of the fresh pork which we can taste. 4. Customers appreciate generous free top ups of bak kut teh soup (which I enjoy with Chinese fried crullers or you char kway). 5. Kiang Kee is the most famous brand of Johor bak kut teh but it has only one, and only one outlet. 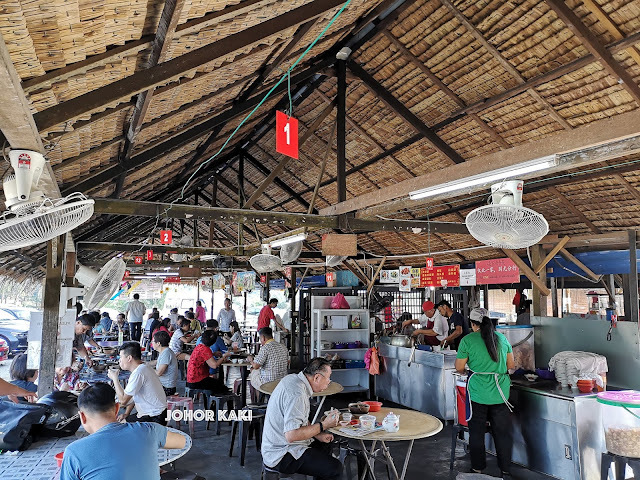 Fans and people curious about what is Kiang Kee bak kut teh have no other choice but to drive 1 - 2 hours here. 6. 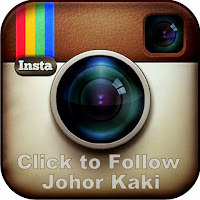 Kiang Kee is an old brand founded by Mr Pang 彭九 in 1980. 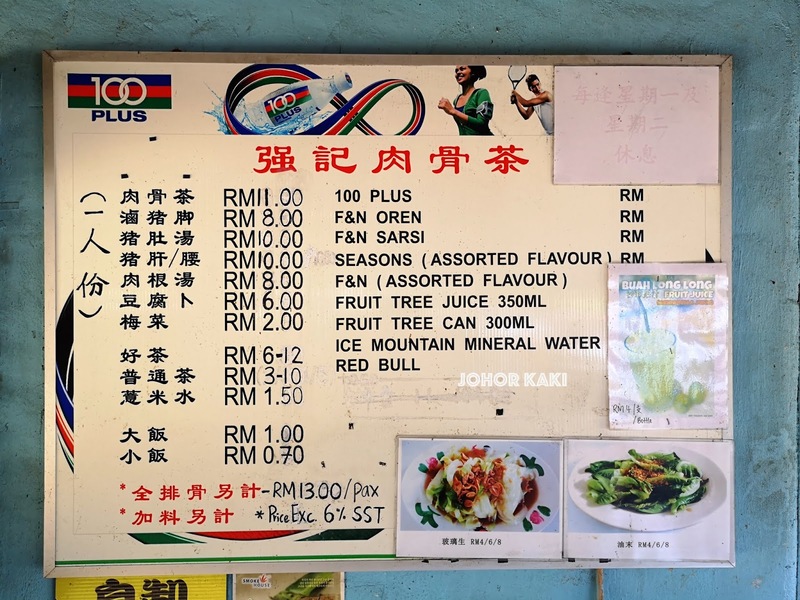 It was located at a Shell petrol station in Kota Tinngi town - it's main clientele then were lorry drivers plying the Mersing - Singapore route needing a herbal meaty energy boost. In 1991, Mr Pang 彭九's son-in-law, Mr. 黄 moved the little stall to its present location. 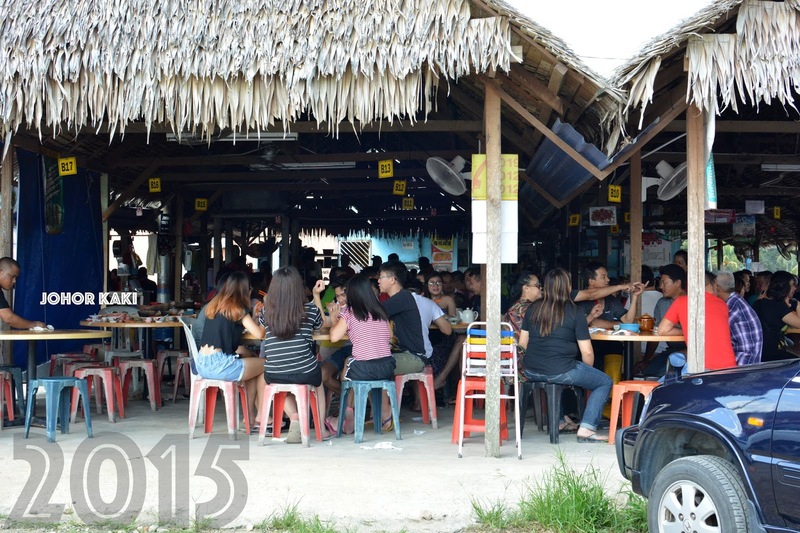 For loyal fans from over the decades, driving 1 - 2 hours is just part and parcel of the Kiang Kee experience. 8. 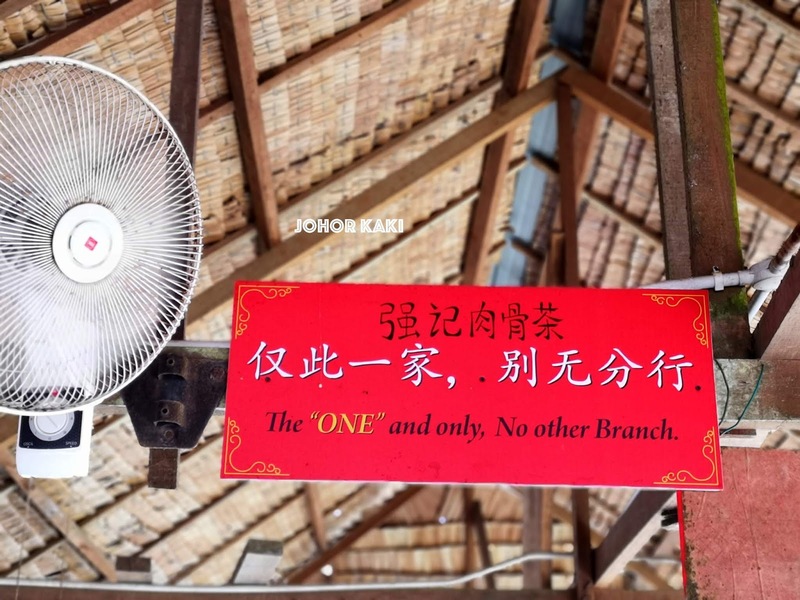 The system at Kiang Kee is well organised and well oiled to handle large crowds. 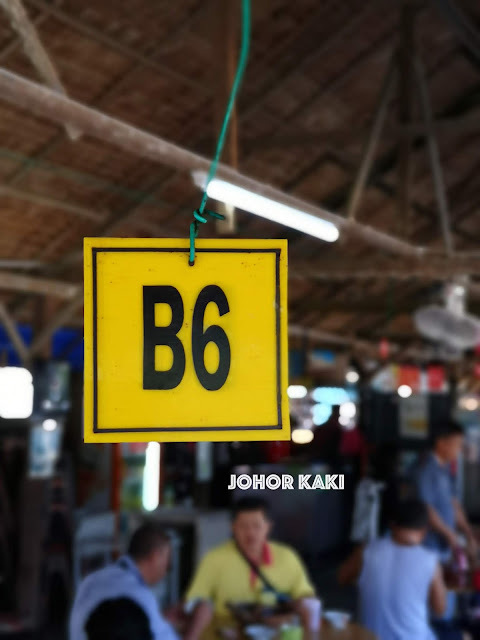 Follow these simple ABCD steps - A find an available table ⇰ B go to Mr. 黄's station to order your food (tell them your table number) ⇰ C return to your table and you will be served soon ⇰ D pay at the cashier after your meal (tell them your table number). Service is earnest and quick, and the staff do their best to keep pace during peak hours during weekends. 9. 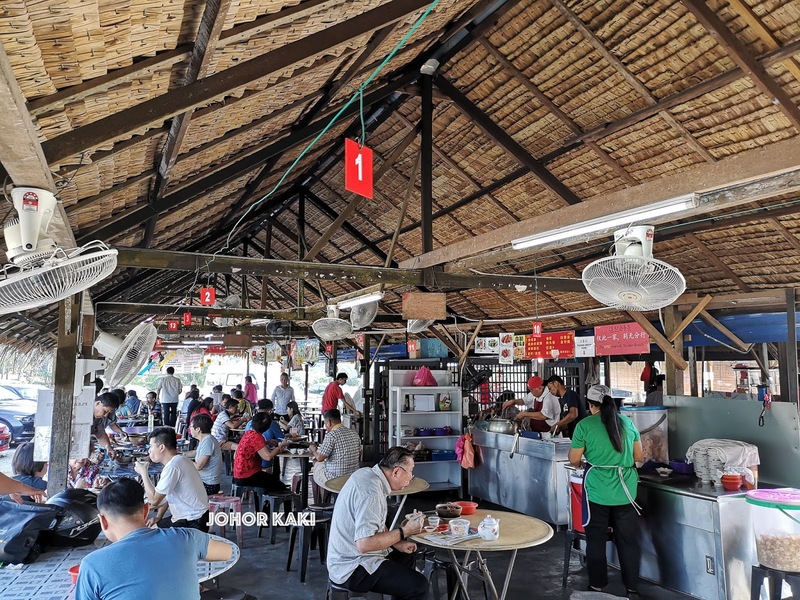 Prices at Kiang Kee are competitive, on par with the popular bak kut teh restaurants in JB. 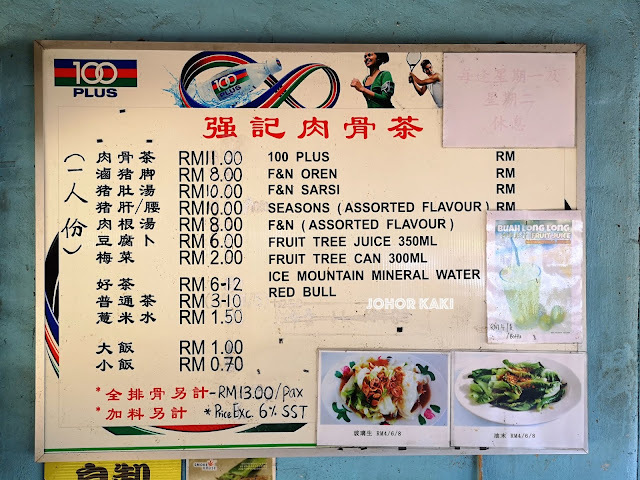 The menu is typical of JB BKT shops - we can tell Mr 黄 our preferred cut. I always ask for pig tail and "soft bone" (cartilage). 10. 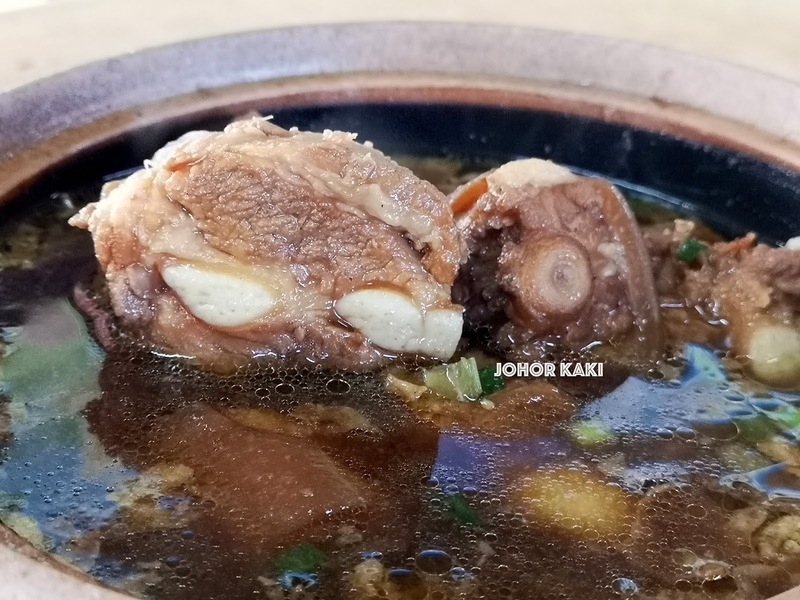 You can have good bak kut teh in many places in Malaysia and Singapore. But, to have good BKT like this - it's only at Kiang Kee in the middle of nowhere, somewhere off Kota Tinggi town between SG / JB and Mersing. 11. Bonus reason: Bragging rights (from Alan Fernandez). The harder to get to, the more obscure, the better 😄 Though Kiang Kee is hardly unknown, it is still quite inaccessible especially for folks using public transport. But, that doesn't seem to deter everyone. 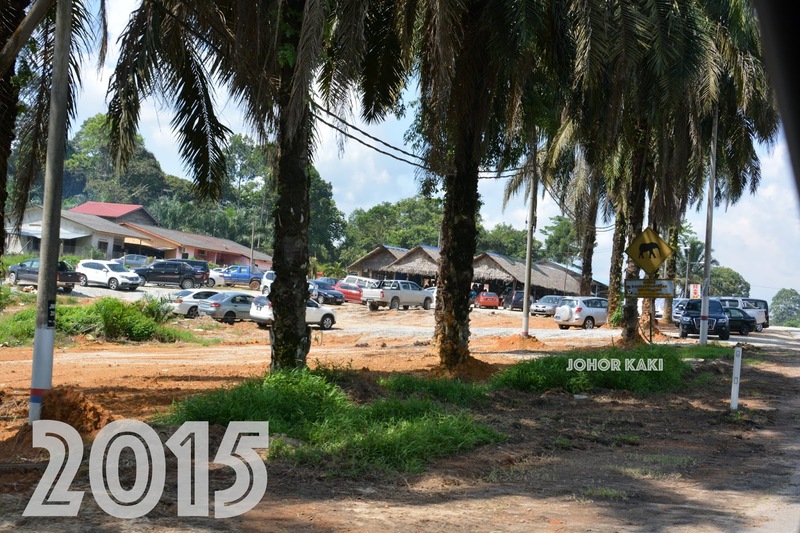 Every time I am here, I always see groups coming in MPV taxis and hired vans. 12. 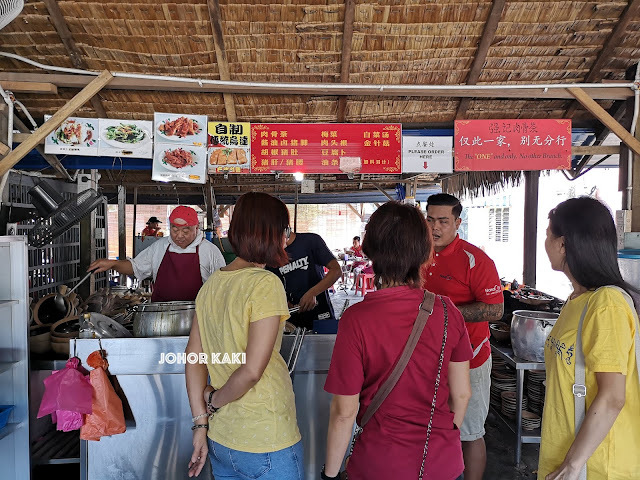 Bonus reason: Wilson Wong said he stopped at Kiang Kee on the way for Milky Way shoot in Mersing and had it again on the way back to Singapore. So, some things have not changed through the decades. 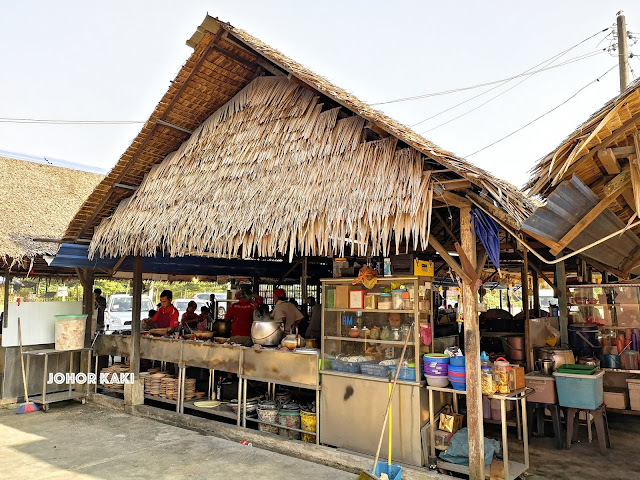 Kiang Kee is a much anticipated, delicious pit stop between SG / JB and Mersing. 13. Bonus reason: Every time I come to Kiang Kee, one thing never changes - the boss Mr. 黄 with his signature red jockey cap is always leading from the front, running the show. 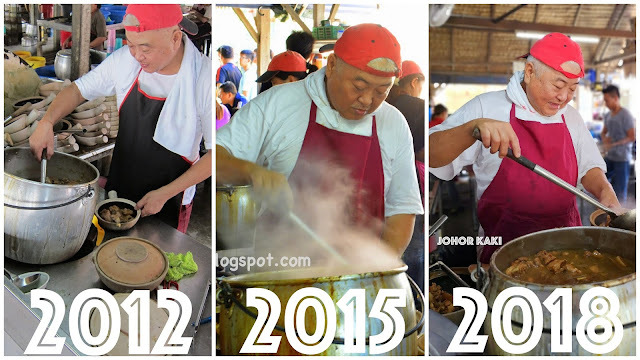 He is very serious about quality so the taste is always consistent no matter how big the crowd. 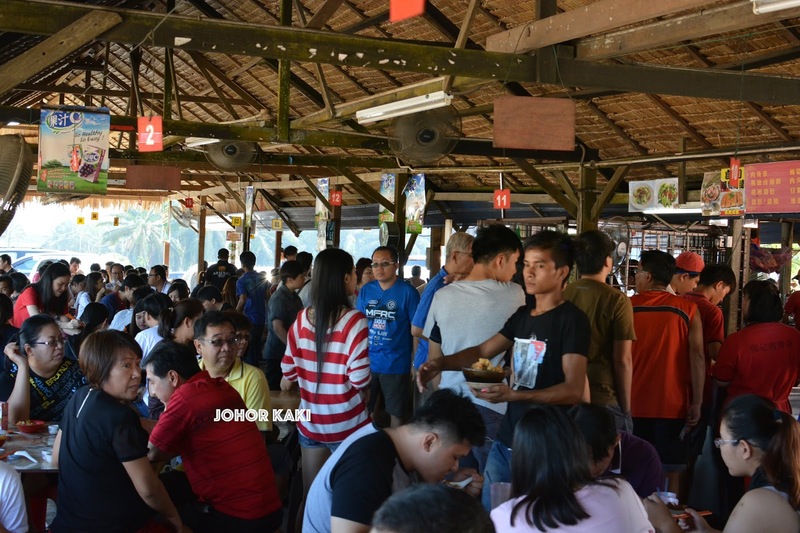 And, on weekends, the crowd is humongous. No joke. 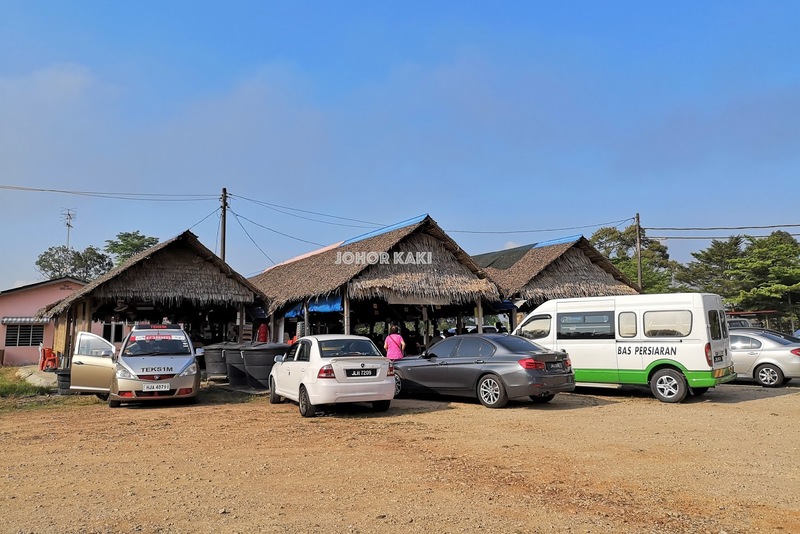 I dont think its in d middle of nowhere... it was popular with truck drivers n tourists on way to mersing... its like the famous or best rest stop on a main highway, its quite a heavily travelled road.